These normal tension Martin Classical Bronze-Wound Guitar Strings feature an 80/20 bronze–wound wrap wire for a punchy and powerful tone that's not brittle. 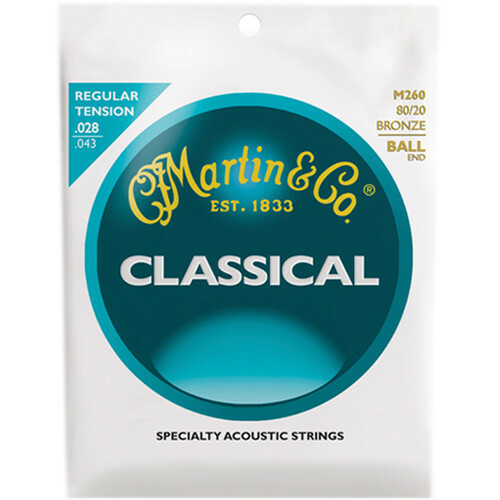 This string set features ball ends for quick and easy installation. Box Dimensions (LxWxH) 5.1 x 4.4 x 0.4"